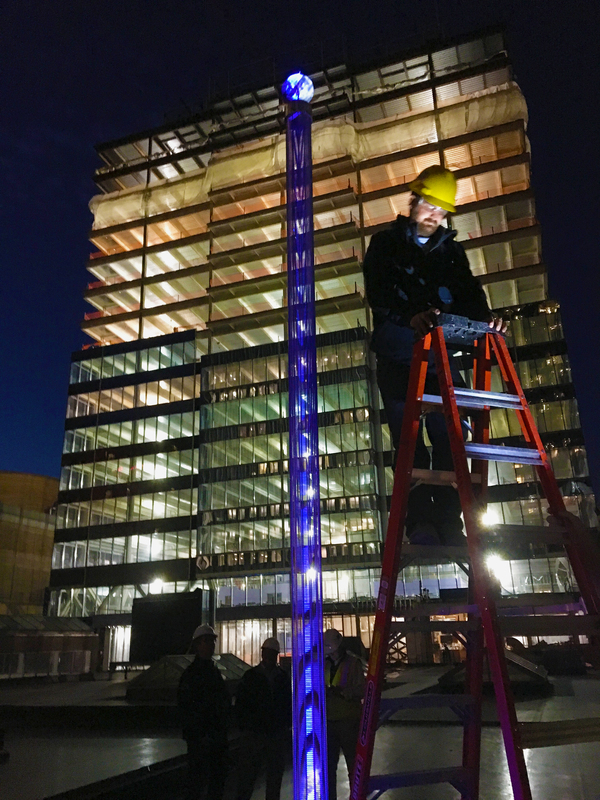 Workers construct a full scale mockup of a light installation for 888 Boylston plaza in front of the Prudential Tower. The column is topped off with a custom wind vane that moves with the wind. 32 of these light columns are planned to light up Boylston Street and are programmed to display colors that react to changing wind speeds in the plaza. Look for them installed in the Boylston Street Plaza in 2016.